Republic Airways announced today that it will open Leadership In Flight Training (LIFT) Academy, a U.S.-based aviation training school. LIFT Academy, which will be located at the Indianapolis International Airport (IND), will set a new standard in commercial aviation training, utilizing advanced technology and systems to train future aviators. Republic will leverage its proven history in developing advanced training and safety curriculum to create a direct pipeline of highly skilled commercial pilots for the airline. Republic is opening LIFT Academy to make a career as a commercial pilot more accessible to all by reducing the high cost of flight training, encouraging greater pilot diversity and raising awareness of the need for a greater supply of pilots. "Opening this school in Indianapolis can be credited to the remarkable commitment by our state and city government leaders, our partnership with the Indianapolis Airport Authority and our desire to make aviation affordable and accessible to everyone," said Matt Koscal, Senior Vice President, Republic Airways Holdings. "With this growth, we are pleased to announce that we'll be creating more than 600 new jobs. Since our first flight back in 1974, Republic has had a strong and extensive history of being a top-quality employer – that's something we've worked hard to achieve, and we look forward to adding to our team through LIFT!" Student recruitment begins today, with monthly enrollment opportunities and the first class beginning in September. LIFT Academy features a structured education environment and curriculum that combines flight, flight simulator, online and in-classroom training. Starting on day one, students will be trained utilizing the latest aviation technology and evaluated using real-time data inputs designed to create highly skilled, professionally developed commercial airline pilots. Additionally, Republic and Vincennes University are announcing the formation of a long-term training partnership. Under the partnership, beginning in 2019, Vincennes University (VU) flight students will complete their flight training at LIFT Academy, with access to the most technologically advanced training environment and the opportunity to become part of the Republic Airline career pathway program. Additionally, LIFT Academy students will have the option to further enhance their experience by pursuing an online associate's degree from VU. "We believe the joy of flight should be available to all, and by partnering with our local schools and others in our community, we are offering intellectually curious, aspiring aviators a world-class training program and a guaranteed, post-graduation pathway to a career at Republic," Koscal said. "For over a decade, Vincennes University and Republic have been partners in aviation. We are excited about this next step in our efforts to address the workforce needs for Republic, the state of Indiana, and the aviation industry. Partnering with employers to deliver work-based education is a major component in VU's mission to offer a focused, quality education in an environment that extends beyond the classroom," VU President Chuck Johnson said. Republic will invest in state-of-the-art, eco-friendly training technologies. LIFT Academy students will train on a fleet of advanced new aircraft and flight simulators produced by Diamond Aircraft Industries, including the DA40 single-engine and the DA42 twin-engine aircraft. Both aircraft possess the most advanced technology in the industry, including the most sophisticated avionics suite in the market. The program will be further enhanced with Diamond Flight Simulator Training Devices (FSTD) built to achieve the most realistic cockpit simulation environment. 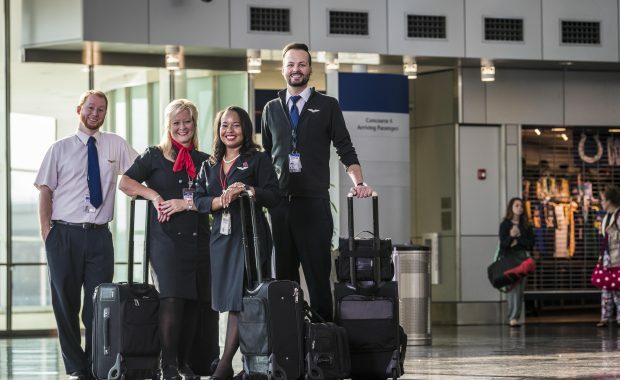 LIFT offers an alternative to traditional career paths, providing high school graduates, military veterans and career changers a direct path to become First Officers at Republic Airline. LIFT students can complete training and the FAA-required flight hours and earn a commercial pilot certification, with the guaranteed path to Republic after graduation. Republic currently hires nearly 600 commercial pilots annually, and that number is expected to grow by 50 percent over the next decade. Applying to join LIFT is free, and total tuition for the flight academy will be approximately $65,000, which is lower than most other aviation training schools in the U.S. To further help students with tuition costs, Republic will offer sponsorships and loan programs to those who qualify. The airline industry is currently facing a significant pilot shortage. Reports indicate 637,000 new commercial airline pilots will be needed worldwide by 2036 to meet demand because of contributing factors like pilot retirements and worldwide aviation growth. In the U.S., the total shortage is expected to reach 8,000 total commercial pilots by the end of 2020. Republic is taking a unique approach to addressing the growing pilot shortage by being the only regional airline to operate its own training academy specifically designed to create a direct-to-hire (classroom-to-cockpit) path for its students. LIFT Academy will make aviation available as a highly attractive career path that offers exceptional benefits. LIFT Academy will revolutionize pilot training by introducing the most technologically advanced training program, while removing barriers such as cost and accessibility that today limit the pilot career to a narrow demographic.